Looking for some pictures of the Rose Parade and Rose Bowl…. End of Parade route on Sierra Madre Blvd. *Ticket sales end at 3:00 p.m.; venue closes at 5:00 p.m.
Advance Tickets: are available through Sharp Seating Company at (626) 795-4171. Tickets will also be available at the event box office and all Park-N-Ride locations. (General Admission) 7:00 a.m. – 9:00 a.m.
(Senior Citizens & Disabled Visitors) 9:00 a.m. – 5:00 p.m.
Post Parade: A Showcase of Floats is a unique opportunity for the viewing public to step up close and see for themselves the majestic beauty and splendor of the floral floats. You can also download, on iTunes, a Tournament of Roses-produced audio tour of the floats to listen to as you view them. Please allow two hours for this breath-taking display and don’t forget your camera! After every Rose Parade, the floral masterpieces are parked along Sierra Madre and Washington Boulevards in Pasadena and exhibited for visitors to walk by and see in close detail the design and workmanship that goes into these floats. Visitors are able to walk within a few feet of the floats and appreciate for themselves the creativity and the imagination of the floral displays. The Rose Parade floats have been a Pasadena tradition for over 100 years. Of course, White Suiters will be on hand to answer your many questions. Please come and enjoy the beauty and imagination of these floral creations. A revised documentary on the making of a float, sponsored by Bayer Advanced, will be shown throughout the day in the 1600 seat auditorium adjacent to the Showcase Lot. Admission to the updated film is free with admission to Post Parade. All bags are subject to search prior to entry into the venue. No pets, bicycles, skateboards, skates or Segways allowed. It is expected that close to 150,000 visitors will tour the Post Parade: A Showcase of Floats. Street parking near the event is limited. To accommodate our guests and to make each visit more enjoyable, The Tournament of Roses Association provides easy and convenient shuttle bus service from three Park-N-Ride locations. Shuttle riders have access to a priority entry line upon arriving at the venue. Park-N-Ride Shuttle tickets are $3 for a round trip tickets, children 5 and younger ride free. Pasadena City College 1570 E. Colorado Blvd. Community Education Center 3035 E. Foothill Blvd. The MTA offers shuttle service from the Sierra Madre Villa Gold Line Station on January 1st to the Post Parade venue beginning at 12:30 pm to 2:30 pm. Shuttle service from the Post Parade area back to the Sierra Madre Villa Station will continue to 5:30 pm. On January 2nd, shuttle service from the station to Post Parade Park begins at 7:00 am and ends at 2:30 pm. Service from the Post Parade venue to Sierra Madre Villa Station will continue to 5:30 pm. During the hours of operation the shuttle buses will pick up every five to ten minutes from the station. Cost to ride is a regular fare plus a transfer. Pasadena City College, 1570 E. Colorado Blvd. From 210 Fwy, exit Hill, turn left on Colorado, turn right on south Bonnie, go south to Del Mar Blvd. and follow the signs to the parking lot. From 110 Fwy, North, take freeway until it ends in Pasadena. The freeway then becomes Arroyo Parkway. Make a right turn onto Del Mar Blvd. Continue east to Hill Ave. Follow the signs to the parking lot. Community Education Center, 3035 E. Foothill Blvd. From 210 Fwy, take exit toward San Gabriel Blvd. Turn slight left onto La Tierra St. Turn right onto North San Gabriel Blvd. Turn left onto Foothill Blvd. From 110 Fwy North, exit Orange Grove Blvd. and turn left. Turn right onto California Blvd. Turn left onto Pasadena Avenue and merge onto 210 Fwy east. Take exit toward San Gabriel Blvd. Turn slight left onto La Tierra St. Turn right onto North San Gabriel Blvd. Turn left onto Foothill Blvd. From 210 Fwy West. Continue west through Pasadena on the 210 Freeway until you reach the 134 Freeway. Stay west on the 134 and exit on the Orange Grove Boulevard ramp, which will be your very first exit on the 134 Freeway. Turn right on to Orange Grove. Continue until you see the sign for the Rose Bowl. Turn left on Rosemont Avenue and drive down into the Bowl area. Follow the signs to parking lot H.
From 110 Fwy, North towards Pasadena. Exit at Orange Grove Boulevard. At the top of the exit ramp, turn left on to Orange Grove. Go north on Orange Grove passing California and Colorado Boulevards. Continuing you will pass over the 134 Freeway. After several blocks, look for the Rose Bowl sign. Turn left on Rosemont Avenue and drive down into the Bowl area. Follow the signs to parking lot H.
As you enter the float viewing venue, pick up a brochure to help you understand the Post Parade layout. The brochure is also available at all Park-N-Ride locations. Wear comfortable walking shoes as there are no trams and seating is limited. Viewing all the floats will require walking a distance of approximately 2.5 miles and will take at least two hours. Keep in mind the venue is often crowded and you will be walking and viewing at a leisurely pace. The best time to visit Post Parade is during the early public viewing hours on January 2. At peak viewing times, you may wait in line to purchase tickets, ride the Park-N-Ride shuttle, or enter Post Parade. Skateboards, roller skates, bicycles, tricycles, Segways and wagons are not permitted. Please note that use of a stroller is difficult due to terrain. No animals are permitted within the venue (Service animals are the only exception). Remember to stay hydrated, particularly if the day is hot. Water is available free-of-charge at three locations within the park. There are a limited number of food vendors at the venue. However you are welcome to bring small quantities of food and non-alcoholic drinks into the venue. (no coolers, please). Before you begin viewing the floats, decide where you and your party will meet in case you are inadvertently separated and cannot communicate via cell phone. One choice is to meet near the Lost and Found tent at the intersection of Sierra Madre and Washington. There are two ATMs at the venue, sponsored by the Pasadena Federal Credit Union. ATMs are located near the West (Red) Gate and at the corner of Washington and Sierra Madre Boulevards. All strollers, backpacks, purses, bags, etc. are subject to search prior to entry into the Post Parade venue. We work with the Mount Wilson Vista Girl Scouts to recycle. Please deposit your recyclable items in the marked bins. The Tournament of Roses is currently offering a FREE audio tour of the floats featured in the 122nd Rose Parade. The Float Audio Tour can be downloaded from the “podcast” area on iTunes. The Pasadena Tournament of Roses Association is a non-profit volunteer organization. Visitors are charged admission to help cover the cost of running the Post Parade: A Showcase of Floats. We thank you for your community support. Only 500 barrels produced. The Pinot Noir grapes are hand harvested at night, a labor intensive process that helps retain the freshness and acidity so crucial to well balanced Pinot Noir. This wine has an elegant, fruit forward style, with lots of mouthwatering Bing cherry and raspberry flavor, but it has a luxurious density in the mouthfeel. Its fruit, coupled with the velvety texture, make this a superlative example of Russian River Pinot. Considering there are 110 million Americans reaching for their cup of coffee every morning, isn’t it about time to introduce a coffee that isn’t acidic? What about a coffee that’s alkalizing, detoxifying AND delicious? Did you know that you can turn ordinary water into a powerful cleaning agent? Using the Activeion HOM, you can call almost all household germs as well as cleaning away muck and grime! The Activeion HOM works by giving the water it sprays a slight electrical charge, which fills the water with bubbles and makes it behave more actively. As the water hits the surface, the charged particles interact with the grime, lifting away and bubbling off dirt. As an added bonus, the electrical charge, while perfectly safe for humans is very dangerous to microbes and will kill most bugs- including the infamous H1N1 influenza strain. So, let’s recap that so far- the Activeion HOM is a device that takes ordinary tap water and turns it into a potent cleaning agent suitable and safe for almost any surface with the added bonus that it destroys germs with the effectiveness of a bleach- and without any of the harmful and unpleasant characteristics of other domestic cleaning solutions. Activeion’s cleaning solutions are perfect if you own small pets such as rats or hamsters. Any good owner knows the dangers of using cleaning chemicals on the cages of these little critters, and often you need to resort to expensive specialist chemicals designed specifically not to harm animals. With an Activeion solution, this problem is solved- Activeion is only dangerous to bacteria and other infectious organisms and after about 15 seconds it becomes inert water again- simply wipe it off along with the dirt and there is no lingering chemical or substance that could be harmful to your pet. But of course, if you yourself react badly to chemicals, an Activeion product may be just the solution for you. The Activeion HOM, and its big bad brother the EXP could save you a fortune in cleaning bills, and is suitable for almost any domestic surface. Find out more at Activeion products. Yes you can make money with twitter… it’s not as hard some people think. They must be from the United States, Great Britian, France, Italy, Germany, Spain, Australia or Canada. The Twitter account cannot be following more than 2,000 people. Their Twitter account must be at least 120 days old. They complete the influencer profile on MyLikes. Referral bonus reversed if the Influencer is found to be spam/fake twitter account. Here’s some stories about how you can save with various telcom/cable companies. The best way is to speak with the retention departments. They will usually help you. I just called uverse cs because i got a comcast promo in the mail for 15mbps for $20 a month for a year and then $35 for the next year. They gave me 12 Mbps for $25 for six months and a $150 loyalty credit if I stayed. So now my Internet is $10 cheaper then the 3 Mbps I had previously and the next two months of tv/Internet are paid. I very rarely have something to contribute to most threads so I don’t chime in often– but I can confirm this deal. I called in about 1.5 weeks ago to U-verse threatening to cancel all my cable TV service and just keep the internet. The result was a lowering of my cable TV bill from $59.99 (U200 package /w DVR) + $10.00 (HD-service) = $69.99 originally, to a grand total of $29.99/month plus they threw in the Starz movie channel package for that duration and gave me a $150 credit towards my bill. My internet service hasn’t changed (still have the 24mb pipe) so my whole bill with internet included went from $130/month to $95/month plus the $150 credit. I thought it was a steal so I pulled the trigger and decided to stay besides I’m moving inside of 6 months so these guys just lowered the price for the duration of my stay at my present house. I have only been with them since Oct. 5th. 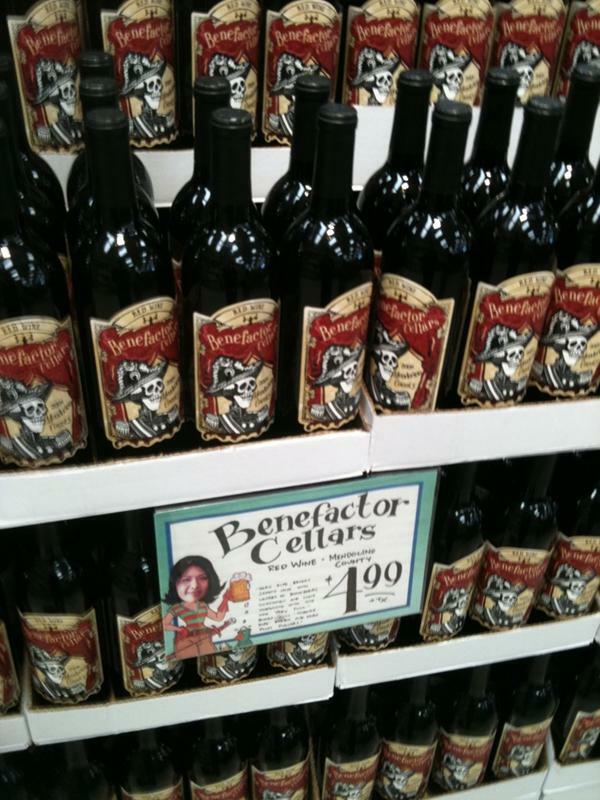 Oh ertswhile unstoppable wine market! Some sites you can use to save money with coupons. splot a membership, if you don’t like it, they will give you your money back. Sam’s Club clearance prices end in 1 cent. those items are marked down than anywhere else in the store! Making it through costco for under $100! Lots of organic in the warehouses! 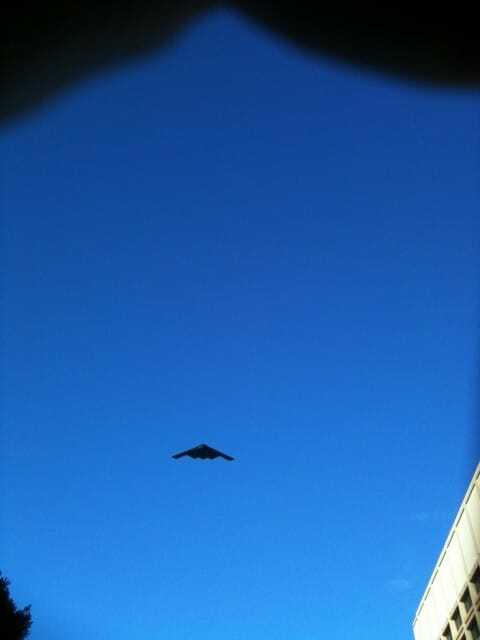 It is confirmed that there will be a US Air Force Stealth B2 Bomber flyover for the 122nd Rose Parade. The B2 will be in position #4, as the 4th entry into the parade basically as the floats and start to make the turn off of Orange Grove onto Colorado. The fighters landed yesterday at Burbank Airport and the crews and pilots are enjoying some of the pre-parade festivities. There will be four pilots, so we anticipate seeing 4 hornets flying over the Rose Bowl as the National Anthem is completed. 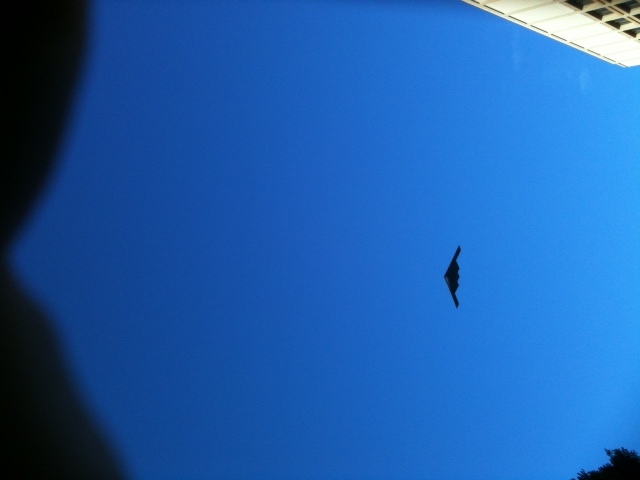 Come in on the power as they fly over the Rose Bowl. For 2012 the Rose Parade will not be held on Sunday! The Rose Parade is never held on Sunday. From what we can tell… it will be held on Monday. Are you looking for a place to eat during the preparation of the Pasadena Rose Parade? Try Elements Kitchen on El Molino, it is east of Old Town Pasadena, but a great location and you can enjoy some fabulous food. New Year’s Eve and New Year’s Day at Elements Kitchen! This year we’re celebrating New Year’s Eve and New Year’s Day at Elements Kitchen. Start the evening with our New Year’s Eve Prix Fixe dinner (see menu below). For Rose Parade campers and all night revelers, we’ll be serving up chili, Schreiner sausages & coffee in the courtyard ALL NIGHT! Check out our special New Year’s hours below. Will you be out all night or saving a prime space for the parade? Swing by the courtyard at Elements Kitchen on El Molino late New Year’s Eve for warm and satisfying chili & Schreiner sausages. We’ll be serving them along with coffee & more ALL NIGHT from 11pm to 11am. John Mellencamp and his wife of 20 years Elaine Mellencamp are splitting up, why? 59-year-old rocker John Mellencamp said he and his wife of 20 years, model Elaine Mellencamp, are splitting up. John Mellencamp and his wife are calling it quits. A spokesman for the 59-year-old rocker says he and his wife of 20 years, model Elaine Mellencamp (nee Irwin), are splitting up. Elaine Mellencamp met John when she modeled for the cover of his 1991 album “Whenever We Wanted,” and they got engaged after just 10 weeks together, marrying in 1992. Cold Weather good for pest control? Yes, you heard it, cold weather in the farm areas kills insects, so pesticides are not needed. Google buys Sprint and launches its own communication network? Google already has made several strategic plays into being a provider. Could Apple do the same? Possibly, could Apple and Google enter a partnership to provide services? The Washington Post story this week went mainstream with speculation that Sprint could be a good target because of their network and already existing partnerships including ClearWire and several phones that run the Android operating system. Is the Sprint network being prepared for a Google spectrum service? We will be writing more about this in the coming months as we learn more. Please join us at Dylan Keith Salon for our official Grand Opening Party. An Afternoon of fun, food and specials!! 5:00 Ribbon cutting with the Mayor of Burbank, Anja Reinke! Dylan Keith is a full service salon that handles all hair services, OPI Concept nail services, facials, waxing, makeup, teeth whitening and tanning. It is the product of inspiration from the life of her beautiful son Dylan. After his passing in March 2010, his mother, Kristin Perkins, felt compelled to complete her lifelong dream in his honor. Make sure to start the new year off right! CALL OR COME INTO THE DYLAN KEITH SALON & schedule your appointment for one of our fabulous specials going on now through January 31st! These are just a few of our New Years Specials. Call for more details. CALL, EMAIL OR STOP ON BY TO SCHEDULE YOUR NEXT APPOINTMENT!!! *other discounts & promotions cannot be used in conjunction with above specials. DYLAN KEITH SALON Open for Business! Dylan Keith Salon, a tranquil place of crystal, silver trimmed mirrors, and gorgeous venetian plaster…..Upon entering this place of pampering, one feels inspired to try every item on the very affordable menu. Dylan Keith is a full service salon that handles all hair services, OPI Concept nail services, facials, waxing, makeup, teeth whitening and tanning. It is the product of inspiration from the life of her beautiful son Dylan. After his passing in March 2010, his mother, Kristin Perkins, felt compelled to complete her lifelong dream in his honor. Tilly’s offers 50% off selected jeans with coupon code “SALE50”. Shipping starts at $6 or free for orders over $99 total. Important Information from American Honda Motor Co., Inc.
American Honda Motor Co., Inc. recently became aware of unauthorized access to an email list used by a vendor of customers who receive special offers and newsletters from Acura. We want to assure you that the only information that was obtained was your email address. As a company, we encourage you to continue to be aware of the increasingly common email scams that may use your email address to contact you and ask for personal or sensitive information. — Be cautious when opening links or attachments from unsolicited third parties. Also know that American Honda Motor Co. Inc. will not send you emails asking for your credit card number, social security number or other personal information. If ever asked for this information, you can be confident it is not from us. ©2010 American Honda Motor Co., Inc., 1919 Torrance Blvd., Torrance, CA 90501. I received this from the Sierra Madre Chamber of Commerce and wanted to share it. It is full of useful info. Please pass it along. “It has been incredibly busy with the media, phone calls & a constant flow of victims in the lobby and in every room of the PD. I can’t vouch for everything in Mr. Navarro’s email, but most of it appears to be accurate. The Calif. State Attorney’s website also has an identity crimes link with valuable information. Mr. Navarro provides a more detailed description of how some ATM/credit cards are misused at gas stations and ATMs. I have been “cloned” twice in the past 5 years. The first time close to $5K and the second time around $3.5K in just a matter of a few days. I did not have any problems dealing with Bank of America, both times I received my money back after filling up the forms and presenting my case. However, the crooks, both times went into spending binges that I could not match even if me and my girlfriend went out there with no limits. The problem happens, it happens more often than you think, and it happens quickly. VERY FAST. In both cases there was a pattern: i.e. : the second one was really funky because there were 11 withdrawals of $300.00 all made at all 7-11s in the Hollywood/ Silverlake area, all within 2 days. Plus some other purchases. Furthermore, in September this year someone was paying their electrical bills with my ATM card in LONDON, can you believe it? Yes, 5000 miles away, and I have not been in London in probably 5 years. It is very likely that this problem will continue until the ATM/Credit card technology becomes a little bit more advanced. So, we need to get involved, all of us, even if you have not been cloned. It is not a matter of PARANOIA, no ladies and gentleman. It is a matter of re-taking what belongs to us, the fruits of our labor and our freedom. 1. No, you are not being followed or watched by the crooks. If you were being followed or watched a different type of crime would have occurred. You can bet on that. The cards are cloned by initially reading the magnetic strip on a “magnetic card reader” very much like your ATM has, or the gas pump, or any other POS (Point of Sale) location. Magnetic card readers are available to purchase by the public at many websites. The information in your card is recorded on a digital “binary code” (ones and zeroes) which for the crook is not really important at the moment. The card is read and the information transferred to some kind of memory devices. Some card readers have themselves storage to save up to 1,000,000 credit cards or more. Once the operator of the reader (your “not so friendly face” behind the counter) runs the card through the “evil reader” the information is saved. The magnetic reader and storage device are now taken to the offices of “Crime Incorporated”, there another guy, perhaps very much like me, with some computer systems education, can spend some time decoding encryption and translating it into something that now makes sense to them. Once they know they have a workable translation path, they proceed to duplicate the cards. Card duplication is also readily available in the market for applications like badge printing and others. So don’t think that someone sold to someone else privileged technology. All this junk sells as easy as a laptop or a printer and it is not regulated. Yes, it is true that in many cases “Crime Incorporated” consists of a group of people where at least one person has worked for one or two financial institutions and knows the latest in encryption procedures, data recording and transaction processing. So again, what you learn at a job can make you an expert on something very nasty as it is “Credit/ATM fraud”. Once the cards are printed they are distributed to members of “Crime Incorporated” who are ready to hit known/ weak ATMs in the market and hit your account for as much as they can every time. That’s as far as cash is concerned. Many lend the cards to their wives or girlfriends, who knowingly go to other stores and hit your account for hundreds of dollars at Kohls, Bed Bath and Beyond, Office Depot, Walmart and even pay for the most outrageous tastes out there, you’ll be surprised of some of the stuff they buy with your card. Finally, when the card is rejected for the first time then that card is usually destroyed by “Crime Incorporated” and they start with a new fresh card. That’s why it is hard to track when the “Cloning” happened. Your card may be cloned today but it doesn’t get used until three or four months later. So read the recommendations below for further info. 4. International Ring? or Paranoia:? Well, the truth is that ATM/Credit card fraud is 90% of the times local. If you live in Los Angeles (or New York or Houston), you get cloned in Los Angeles, and the money is spent in Los Angeles. The remaining 9% of the time may be non-local that is: You get cloned in Los Angeles and your card is used in Houston or New Y ork. The final 1% is International and generally easier to detect and more difficult for the thieves to perform. But it does happen as I explained it happened to me. You live in Los Angeles, you get cloned in Los Angeles but your card then travels around the world to pay for the crook’s expenses. More likely you get your losses returned to you because it is very easy to show that you didn’t travel at all. Now if you traveled somewhere overseas and you were cloned there then you will have a little more difficulty showing that it wasn’t you. However, banks trust most customers and if you do diligent work you can get reimbursed for all that money. Banks pay back a lot of money every year to their “cloned” customers because the amounts are insignificant for the size of the bank, it is not insignificant for the “crook” who may make a living of this life style for years until getting caught. During the last 10 years there have been at least a good dozen busts where the crooks were found with tens of card readers, dozens of duplicators and thousands of blank cards ready to be printed. Fortunately the larger the operation the more risks they incur, someone always becomes careless and leave a trace that allows authorities to track the crooks. 6. ATM/Credit Card fraud vs Credit Fraud (Identity Fraud). You must learn the difference, ATM/Credit Card fraud is what this e-mail is pretty much about. Your card got stolen or cloned and some crook performed a number of transactions which eventually you catch by looking at your statement or your bank notifies you and everything pretty much gets resolved. If that is the case do not, please, get to worked up, 99% of these situations get resolved, I know it is a pain in the neck, your account may be drained, but you WILL RECOVER from it. Fill up the forms, make your claim, report to the police and move on, you’ll get more satisfaction if you follow the steps and contribute to make this a better world. Now, Credit Fraud or Identity Fraud, is a completely different story, more likely in these cases yes somebody is checking your information, your behavior, your habits and a lot more, like seen on TV, check your trash, etc (reason #1 for buying a shredder). This situation can be, also as seen on TV, extremely stressful, you may not get reimbursement for the expenses, it may take years to resolve and it can actually land you in a prison. The cases are minimal compared to the ATM/Credit Card cloning. It doesn’t mean that you have to pay less attention, but some of the recommendations below will reduce you chances of falling for a Credit Fraud/ Identity fraud case. By the way, even if you follow all the recommendations it does not mean that you are protected forever, it is only a way of creating obstacles for the crooks and have them give up before reaching their goals, but if they are “motivated” they will overcome the obstacles and clone your cards. 1.a. Put your phone #s and addresses in the National Do Not Call Center: https://www.donotcall.gov/ This protects you against excessive telemarketing, receiving unwanted/ excessive junk mail. The less your information is out there the less chances of being a victim. Be strong and determined about this. If you get a phone call from an unwanted telemarketer, con them and get their phone #s, addresses and other info possible and report them to the same office. Fight this. 1.c send REMOVE requests to those who do not give you the opportunity of “UNSUBSCRIBING”. If you get a link for UNSUBSCRIBE then do it, do not delete the e-mail. And when you are done, report it as SPAM. By law the sender is supposed to give you the opportunity to UBSUBSCRIBE. Anyone who sends you an unsolicited e-mail and does not give you a link to UNSUBSCRIBE is BREAKING THE LAW. 2.a If you can afford it get a “credit protection agency” they report to you monthly, and some have “cellular phone” warnings, so if someone attempts to use your credit (I mean apply for credit fraudlently) you get “texted” immediately and you can immediately make the phone call. Some of the credit protection agencies charge between $15 to $25/month for the service. 2.b Now, talking about phone calls: Yes, more homework, add to your cell the telephone #s of your credit protection agency, fraud bureau of your bank or banks, credit card customer service phone #s, and every other phone that may be of particular interest. 3.a Many Credit Card companies now have also “Text” notifications when you cards are used. My bank “texts” me faster than the time that it takes to the waiter to come back from the register with my card. And this is not only true but extremely “peace-of-mind-ly”…if you know what I mean. 3.b Too many credit cards become a “management” problem, but this is your thing, so if you want to reduce the risk then manage them. Do not blame anyone else later. 4.a If you need to stop and buy gas at a station that you have never been before it is better to use the ATM if available and get the money and then pay cash. 4.b Do not use ATMs where you have to hand your card to the attendant. 4.c When possible avoid ATMs that do not have a camera (this is what happened to me with the 7-11s, however most 7-11s have been upgraded with Citibank ATMs that do have cameras). 4.d If you need to buy gas and you do not have cash try to pay at the pump. If you have one gallon of gas in your car chances are that there is one ATM within range Wells Fargo, Bank of America or other, yes, you may have to pay a fee, but it is better a “friendly face” than a “furious foe”… One gallon of gas unless you drive a Corvette will let you drive at least 10 miles. 4.e Do not use ATMs that appear to be “damaged”, modified, broken, or “smell funny”.. follow your heart, if the ATMs doesn’t look right DO NOT USE IT. 4.f Most “cloning” occurs beyond your sight. If you need to give your card to an attendant DO NOT LOOSE SIGHT of your card. If the attendant runs your card on somewhere underneath the counter STOP THE TRANSACTION Immediately and report it, check with your bank, and/or replace your ATM card IMMEDIATELY. 4.g The most difficult of all: Buy always at the same place, become what you really are: a creature of habit. Buy where they know you and where you know them. Sometimes we do need to buy at a new place, and that is probably unavoidable. I know that. So, if you must buy at that new place, make sure you follow the advise in the previous paragraphs. 4.h Needless to say, check your bank statements as often as possible. I know that is a lot of stuff to keep in your mind, but the tighter the rope around a crook’s neck, the better we are. Every single precaution counts. Every little bit helps. We need to be more pro-active protecting our assets. And of course, the older we get the more important is to protect these assets. Teach the young too, “teach them well” (Crosby, Stills, Nash & Young), tell them that they are doing something to help the world and they will listen. 5.b My last few trips overseas (Spain, Italy, Switzerland, Denmark, Greece, etc) I have been able to book pretty much everything in advanced via Orbitz or Expedia. Car rental, hotels, trains, air fares, entertainment, etc. I know, I know I know, but there’s so much stuff once you get there…. Well, yes, so get your traveler checks, record their numbers on your cellular, and also the emergency phone # of the issuing bank. 5.c Get some currency in advance (Euros, Yens, or whatever you are going to need) you need to become familiar with the transaction dynamics of the country before you start using your credit card there. If you are computer savvy then make sure you check your transactions everyday or every other day on the Internet, when Overseas you must be ahead of the game. Things happen much faster there. 5.d Say you are going to stay 10 days in Madrid, then become aware of your surroundings, that is: if you need to exchange your Traveler Checks always go to the same place. If you are going to use an ATM use always the same ATM. Try to reduce your ATM/ Credit Card usage on shops and restaurants. 5.e As you use your traveler checks record the numbers on your cell, as they should have been entered before you left the US. Network with industry professionals and invite a friend. Thursday January 20 7:00pm – 10:00pm. Where web hosting business happens. RSVP now! Thank you for your interest in WHIR Events. We have received your RSVP. Please be sure to bring a business card for entry. Thursday, January 20, 2011, 7:00 p.m. to 10:00 p.m.
WHIR Networking Events: If you work in, or will be visiting Los Angeles or neighboring cities come out to the WHIR’s Web hosting networking events and meet like-minded industry executives and corporate decision makers face-to-face in a relaxed environment with complimentary drinks and appetizers. We will provide a great local venue, to do business, make new connections and learn more about those in the web hosting industry. 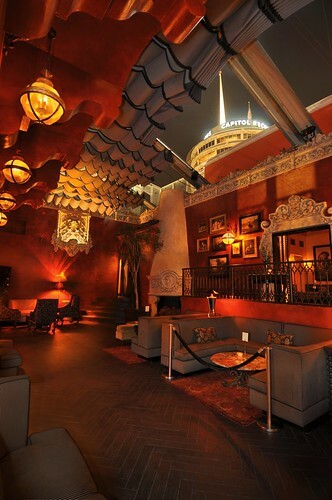 About the venue: Bardot Hollywood: This Spanish Colonial space is one of the most prestigious venues for live performances & events. With its legendary Hollywood & Vine location, Avalon & Bardot have housed some of the most publicized and diverse events in Los Angeles. Parking: Street Parking and lot parking near by. Food and Drink: Appetizers and complimentary drinks will be available. Enjoy a selection of tasty appetizers, including vegetarian options. Thanks to our sponsors, an open bar will be available. Hotel Information: We have secured a block room rate of $199 at The W Hotel, Hollywood, 6250 Hollywood Blvd., Hollywood, CA, 90028. Please note these rooms must be booked on or before January 5th and are first come first serve. To book click here. RSVP Reminder: Due to the enormous reach Web Host Industry Review has within the web hosting industry, we expect these events to hit maximum capacity very quickly. Sponsor Supported Evenings: The best part is that these Web hosting events are sponsor supported, so it’s free for you to not only attend, but to eat, drink and be merry. If you are interested in sponsoring WHIR Networking Events, please contact us. WHIR Networking Events began in 2009 by the Web Host Industry Review, Inc. Our Web hosting events will be held in major North American cities in 2011. Our goal is to provide a local venue for you to do business, make new connections and learn more about the people in our exciting industry. The recent rain storms have left us in a dire physical condition – the roof of our Sanctuary is so delapidated that the ceilings of two rooms have virtually collapsed. There is water in nearly every wall of every building. The animals are safe (and very loved), but have had to be relocated to other areas of the shelter, which is distressing in and of itself to them. Our stray dog kennels are deteriorating beyond belief. Due to gross neglect by former management, the shelter was never improved or maintained. The new Board and managment is struggling to make ends meet and keep up with repairs, but the bottom line is that our little shelter needs to be rebuilt. As a private shelter, we receive no government funding – we rely on donations and shelter services. We’re hoping that our ‘guardian angel’ is out there, willing to help us pick up the pieces and become all we know we can be. This is our 87th year, and we want there to be many, many more years to come to care for, and shelter, so many homeless dogs and cats hoping for a second chance. PLEASE, won’t you help make our new shelter a reality? Your Kitties Are So Proud! The Little Shelter That Thinks It Can! Help us continue the tradition of saving, sheltering and re-homing wonderful, loving dogs and cats who did not deserve to be disposed of or be homeless. We are a small, private shelter and do not receive government funding or funding from the Humane Society of the United States or ASPCA. Please donate today and adopt if you can. Please help us achieve our goal for 2010! We just need 200 donations of $150 each by Christmas! giving a forever home to one of our dogs or cats! Click on “Available Pets” to see who’s available for adoption at SGVHS! Search for us on facebook and become a fan! Click here for more shelter News! For providing free eye exams for all 100 of our Cats and Kittens! SGVHS Mug, Newsletter and even more. The new ‘Mini-Manor’ and ‘Kitten Kaboodle’ Kitty habitats are open! Please visit this wonderful, newly expanded room, kindly and generously donated by Tim Ryan Construction! And be sure to visit the adults and teenagers in ‘Meow Manor’! Come see and enjoy our new ‘Canine Meet & Greet’ Courtyard! System Pavers has very generously donated their fabulous pet-friendly artificial turf to create a magnificent park-like setting! and insuring that your own pets are spayed and neutered! FOX 11 News video report. The recent storms have taken their toll on the San Gabriel Valley Humane Society building — where the roof actually collapsed, leaving hundreds of animals in dire straits. “Yet” is the key word — with more rain coming. With the roof collapse, they’ve moved the 135 cats and 130 dogs at the animal shelter into just about every inch of available space..
Bottom line: They need help — whether in the form of adopting one of the animals or donations, which are tax-deductible.